We opted to do the land tour (coursed through our resort) on our first day. 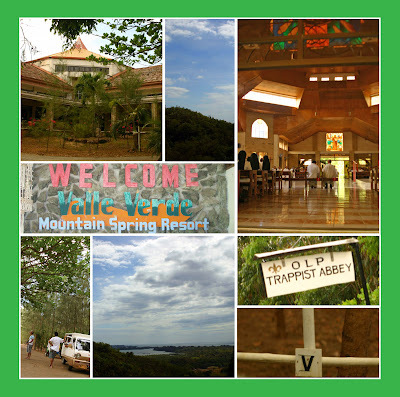 Our first stop was the Valle Verde (you heard that right!) Mountain Springs upon the insistence of our tour guide where we stayed for 5 minutes. There wasn’t much to see. We really wanted to go to the Our Lady of the Philippines Trappist Monastery because we’ve been hearing good things about the place. The Church was open but the souvenir shop which was main reason for going was closed. Too bad, the jam and other products are supposedly fab. We were given the option to visit the old churches but we weren’t in the mood. The Gusi Lighthouse gave us a good view of the ocean and the island. Just be careful when you go because one acrobatic pose can cause you to plummet down. We spent the rest of the afternoon swimming near our resort engulfing the awesome sunset. The real beauty of the province is the uninhabited islands. The ones we visited were magnificent. We didn’t do much hopping since we fell in love with the first island we visited. The water was insanely clear and sparkled when hit by the sun. The endless blue waters melted my stress away. I felt worlds away from the crap of Manila. We wanted to go to the turtle sanctuary but it was too far given our current route. 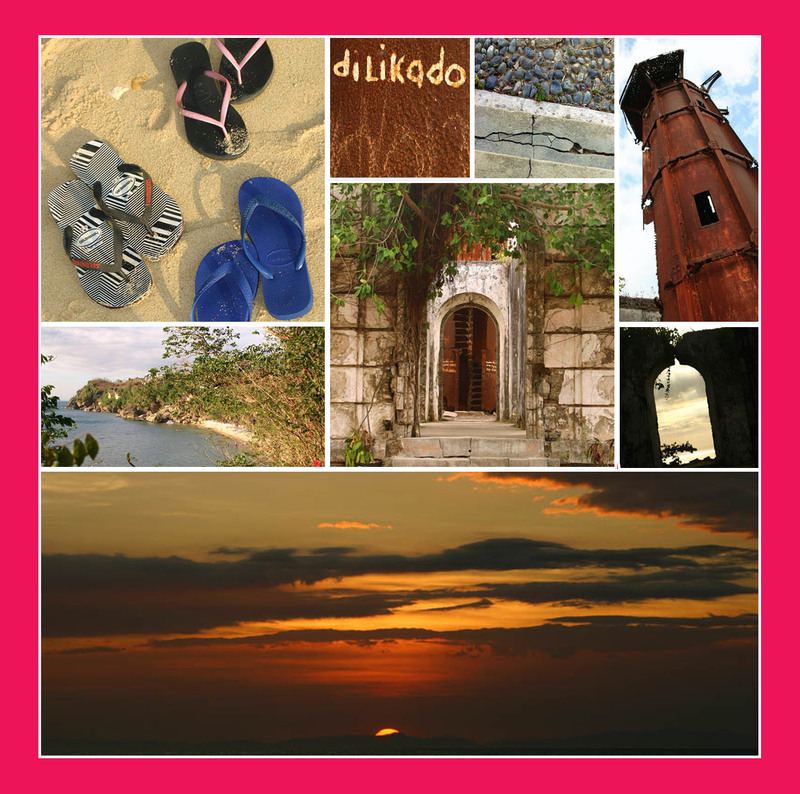 Guimaras is not like Boracay where the whole shoreline is shared by all and you can hop from one place to the other. We had all our meals in the resort since there weren’t any establishments nearby. The food was just average but the prices were tourist prices (read, more expensive). We bought mangoes from the market on our way home. May free taste pa! =) The Trappist Monastery is a popular place for pasalubongs as well. There’s a pasalubong center/store along the main road that everyone knows in the island. It’s a good place to go last minute food pasalubong shopping. Thanks to Byahilo and Inquirer, sites I was able to get information from for this trip. * Click photos to enlarge.